I am always on the lookout for cool black metal despite falling had over heels for recent rotting death. 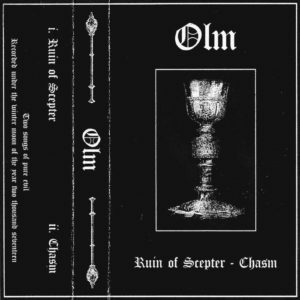 Finding Olm was special as it allowed me to embrace the hatred and anger associated with black metal without any pretense. Finding Olm was fantastic as it seems to be the prototypical subject matter for black metal just done in a way which feels fresh and genuine. Ruin of Scepter – Chasm is a demo comprising of two songs that are surprisingly named “Ruin of Scepter” and “Chasm.” This sort of unceremonious naming sequence fits the band’s quest for earnest and simple delivery as the music is black metal presented without any bells, whistles, or plates. The dips and dives of “Ruin of Scepter” has enough riffs and atmosphere to make it harsh but with hooks as well as entertaining while still grating against skin. “Chasm” is a good example of the direction and potential by this band. What seems like a routine black metal demo soon turns into turbines of ferocity but a drumming section that sounds hazardous. The lengthy tracks make this demo into a destination for anyone wanting to bath in self hatred and damnation. 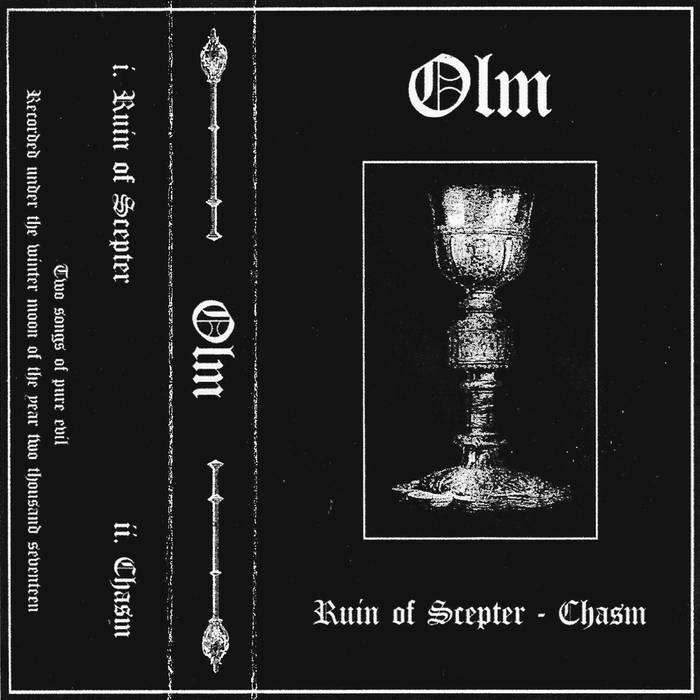 It takes a special band to make a raw demo about darkness feel like something new and by the raw feeling after listening to this demo is any indication, Olm did a fantastic job.